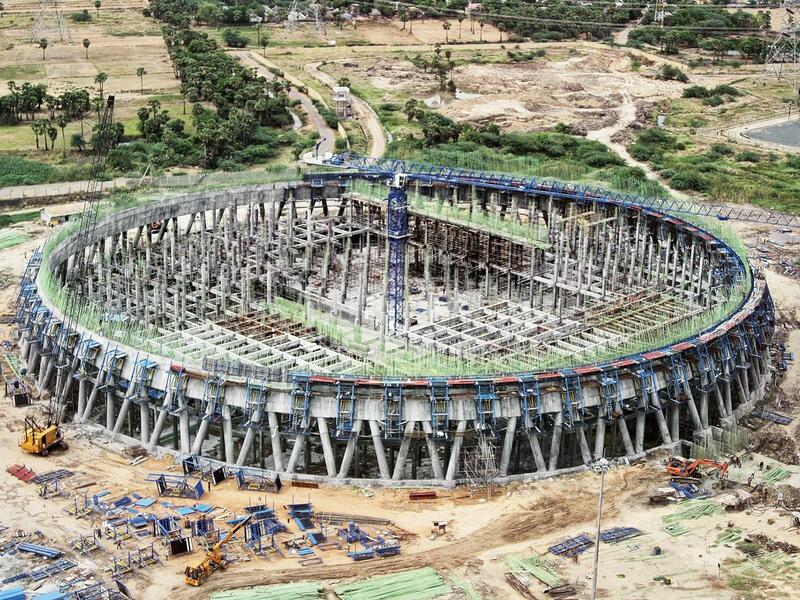 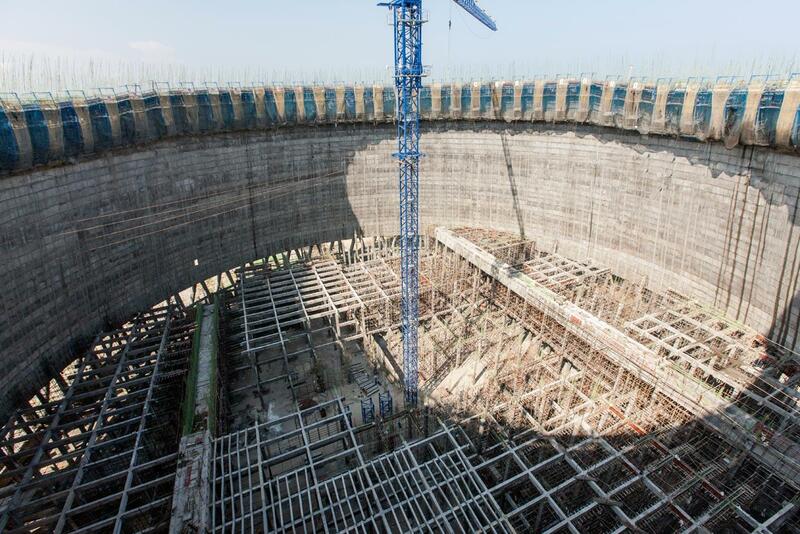 128 climbing units of the Cooling tower formwork SK175 are climbed automatically to a height of 172.50 m. The cooling tower's diameter at the ground is 132.10 m and tapers to 76.40m at the half-way point before finally increasing again to 77.40 m at the topmost edge. 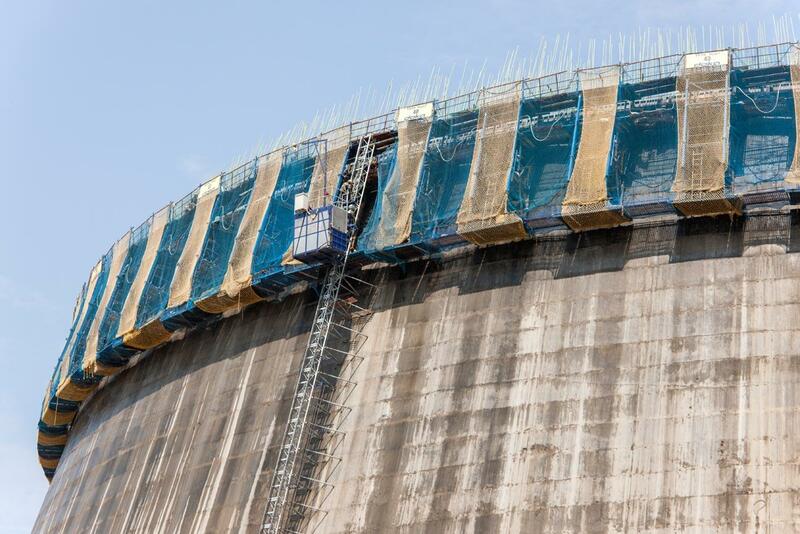 Thanks to the formwork solution supplied by Doka, a 1-day cycle was achieved. 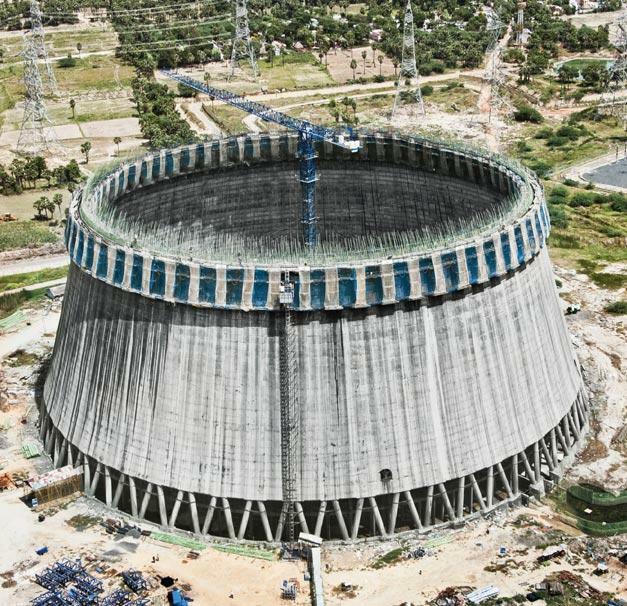 Thank you for your interest - Damodaram Cooling Tower. 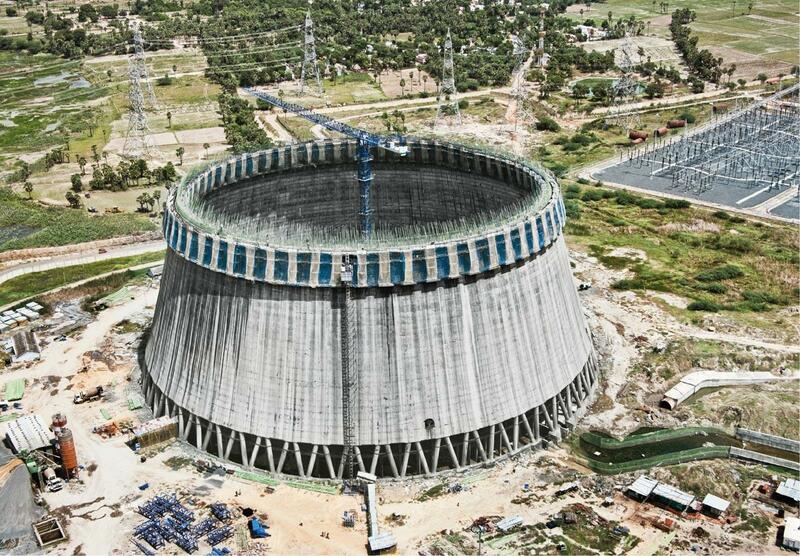 Thank you very much for your interest - Damodaram Cooling Tower.